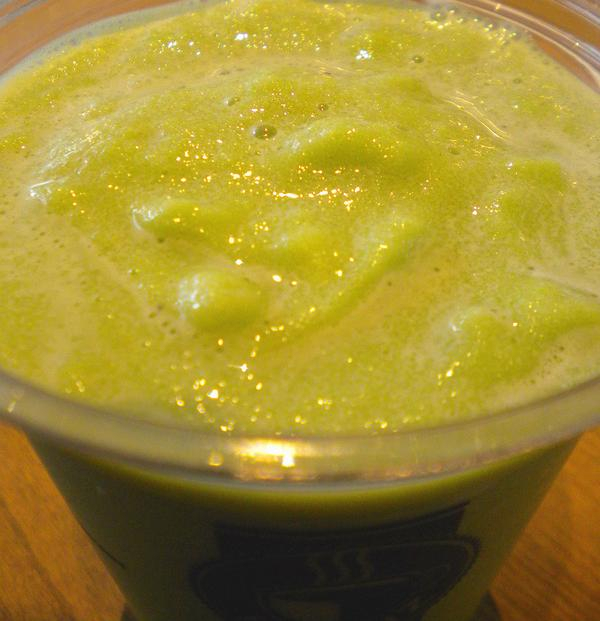 Here's another green tea treat I enjoyed in wonderful Vancouver — a Blenz matcha smoothie. It was so delicious — like their matcha latte not too sweet, with a strong matcha flavor, and a nice fruity bouquet on top of an almost chewy banana base. This cool, thick smoothie was like having a meal and a cup of matcha at the same time — and just as satisfying and uplifting. It really gave me the energy to carry on exploring — just like a good cup of green tea should. What a nice, chilly treat this was. Parfait, ice cream, and cupcakes — oh my!